Meet Flipper. He’s a happy-go-lucky guy who’s only ambition in life is to cruise the water for a bite of squid. He loves to greet new friends with a friendly splash. Meet Elmer. He’s a little shy, and likes staying in his comfort zone, but he’ll be your best giant friend if you give him some greens and a big hug. Meet Skippy. Seven inches of pure ferocity, stouthearted loyalty, and sheer tenacity! No stair is too tall, no living room too large! This little guy will skip after any cricket you toss for him. Alfred looked up, head cocked to one side so that one yellow eye focused on a shimmering red box against the concrete wall of his paddock. He sat heavily on his haunches, watching the glinting snowflakes in the sunshine, and blinked in surprise when it moved. The little girl clung tightly to the small creature, his wings folded close against his furry body. His legs dangled loosely down by her legs, but he didn’t seem to mind. He gazed up at her pink, rounded face with the wide-eyed curiosity of a bird as she chattered about lizards and the rough bark on the pine trees that bordered the fenced backyard. “It’s your turn for Critter of the Month Douglas! 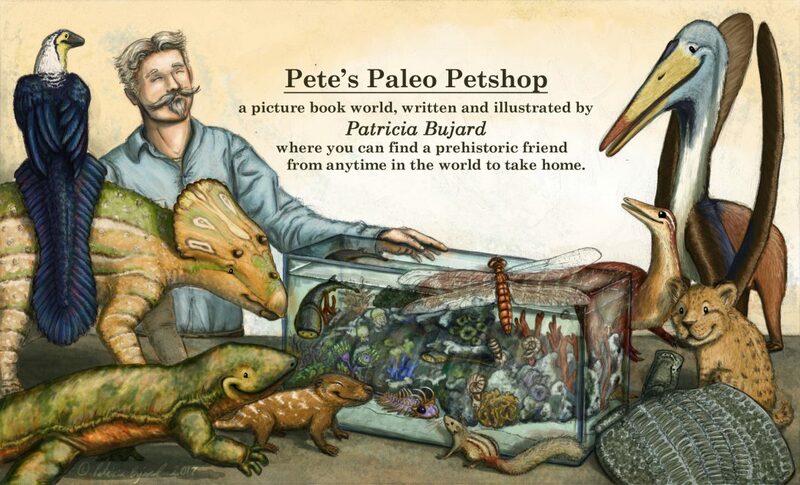 You ready to go?” Dr. Pete Diggle poked his head into the large enclosure, his handlebar mustache curling up in a smile at the dog-sized creature bounding towards him. He could see her across the field with his keen, yellow eyes. A fence separated him from her as she rested beneath the shade of a tall, prickly cycad palm. Was that a hint of rosy pink wattles? A flash of golden eyes beneath the soft brown of the half-moon crest that crowned her delicate white head? He wasn’t sure, but a gentleman must always look his best in front of a lady, so he arched his long neck and raised his scaly tail. Meet Opie. He’s a happy little fella who loves to curl up in your lap, so it’s a good thing he’s about the size of a big dog! Sunlight streamed through the tangled layers of conifer branches and cycad fronds to pierce the eternal twilight of the undergrowth. A cloud of tiny, reflective wings coiled like mist in the shaft of light, the thin whine of their hanging flight almost drowned by the whirring, buzzing, drumming, chirping of countless other unseen insects. Alien cries from leather-winged creatures called from above, answered and challenged by a cacophony of voices that clicked, whooped, hollered, whistled…any and every sound fighting to be heard through air so dense with foliage and humidity, constant moisture clung to the leaves and dripped to the black forest floor. Patricia rested a hand on the sturdy gate and squinted, the other hand shading her eyes from the morning sun glinting through the underbrush. Was that a shadowy, two-legged figure, or just one of the cycad fronds blowing in the breeze? She scanned the small paddock, fumbling with the gate latch blindly for a moment before looking down to thumb the pin back and unhook the chain. “Alright, where are you Rosie,” she murmered as she swung the gate open. The paddock was not very large, but the small shed in the corner was dark and empty, and nothing stirred in the grove of thick cycads surrounding it- like thick, stumpy palm trees, but pricklier. Of course. Rosie had to be hiding there.